Mother and kid goats recognise each others' calls soon after the mothers give birth. Goats are social animals, however unlike sheep, who they are closely related to, they are not flock-orientated. 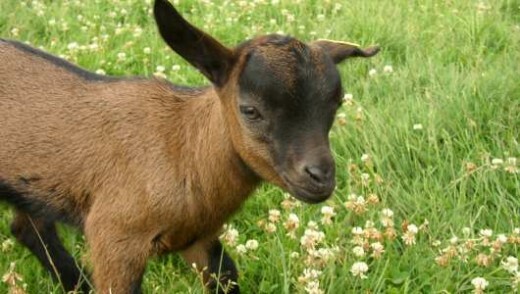 Goats communicate with each other by bleating. Mothers will often call to their young (kids) to ensure they stay close-by. Mother and kid goats recognise each other’s calls soon after the mothers give birth. Kids can follow their mothers almost immediately after being born. They are very close to their mothers and are weaned after around 6 months. Goats are very intelligent and curious animals. Their inquisitive nature is exemplified in their constant desire to explore and investigate anything unfamiliar which they come across. Goats have excellent coordination. They have great balance and are thus able to survive in precarious areas such as steep mountains. They can even climb trees and some species can jump over 5 feet high.